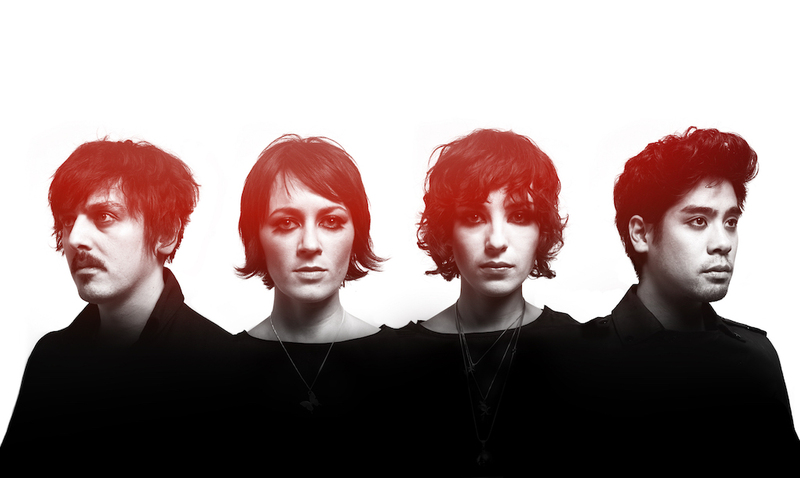 Ladytron’s first single since 2011, “The Animals” premiered today on Flood. It is taken from a forthcoming album in progress, both available exclusively through Pledgemusic. Ladytron return in 2018 with their first new music in seven years. Ladytron have announced their first album since 2011 and a new single, both exclusively through Pledgemusic. Opening single “The Animals” is a taste that comes complete with a remix by electronic pioneer Vince Clarke, and a video clip filmed in the sprawling megalopolis of São Paulo. The track is unmistakably Ladytron, yet hints at new horizons to come. “The Animals was the first new song we had, and with it we went almost immediately into the studio with Jim Abbiss, who has worked with us previously on Destroy… and the Witching Hour album,” says vocalist Helen Marnie “He’s the producer who has really understood us the most”. The new chapter for Ladytron follows a hiatus which saw half the group move across hemispheres, and all experiment with solo projects and new collaborations, after five albums and a succession of world tours over the previous ten-year period. Originating in Liverpool, the band, made up of Helen Marnie, Daniel Hunt, Mira Aroyo and Reuben Wu earned that decade of acclaim by relentlessly pushing boundaries, carving out new sonic and conceptual space and refusing to abide by formula or trend. 2008’s harder, darker Velocifero saw them grow further with the iconic singles “Ghosts”, “Runaway” & “Tomorrow”. They were then invited by Christina Aguilera to write and produce tracks for her forthcoming album. A decade’s retrospective was released in 2010, featuring a new single “Ace of Hz” and to follow, 2011’s Gravity the Seducer took up a cinematic thread which had weaved through the previous albums with “White Elephant”, “Mirage” and standout “White Gold”. After another accompanying world tour that culminated in a euphoric sell out at the Los Angeles Wiltern, the band took a well-earned break, a pause that would grow longer than anticipated. In mid-2016 the band quietly began to write and record together again and are now in the process of working on their sixth full-length album, to be released later in 2018, which picks up the trail with their songs and raw characteristics taken forward with a new palette of atmospheres and themes. More details about the album at Pledgemusic.